Now that you guys have got used to the sunburn and blindness caused by the glare of our new blog template, we can get back to normal business. We’ll give you some updates and also tell you our schedule for the festive season. * The target release date for the unlock is New Year’s Eve 2008. * This unlock method is available to iPhone 3Gs that have 2.11.07 baseband or earlier, we did warn you. * The unlock requires a jailbroken 3G iPhone. It’ll be installable via Cydia and so it doesn’t matter if you have a Mac or PC. * Please refrain from updating your baseband, regardless of what version you’re at. We’ll have complete directions on New Year’s Eve. Currently we are not investigating the iPod touch 2G. Other people outside the Dev-Team are looking into this, but we are not at the moment. Please don’t hassle us with comments and requests about this, they’ll just be deleted and ignored. If we do look at this device it will be sometime in the New Year and we’ll inform you guys if and when we commence this work. 2. We have been busy with the 3G unlock. 3. We have been busy with the CCC talk. 6. Unfortunately our partners, parents and pets need occasional attention too. Sometime before Christmas, MuscleNerd will show a live demo of the unlock (and some other random nucleus and pwnage stuff). It’ll be streamed live via the awesome Qik application, and announced via his Twitter account just as the broadcast begins. 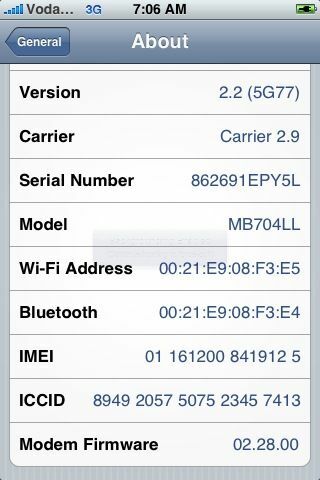 Entri ini ditulis di iPhone dan ber-tag iphone 3g, soft unlock, unlock pada Desember 17, 2008 oleh orakanggo. This ability we now have to spawn background tasks means we are one step closer to the 3G soft unlock. We have a clear path to follow, and “all” that remains is the implementation. Now it’s on to overriding the baseband code that enforces the carrier lock. A high-quality version of the video is available via bittorrent here. P.S. That “One more thing!” text is being generated by the backgrounded “steve” task at 5-second intervals. The “A0” is the task’s priority. P.P.S. Remember…don’t update to official 2.2 when it comes out if you ultimately want a 3G soft unlock! Entri ini ditulis di iPhone dan ber-tag iphone 3g, unlock pada November 20, 2008 oleh orakanggo.